an exciting concept in backpacker accommodation. Microtel's private single room features a private, compact room with single bed and TV. This room shares bathroom facilities with only one other, and a common entrance way. Included is fresh linen, duvet, clean towel, heating, Freeview digital TV, free internet access and a window that opens to the fresh air. Accommodates 1 person. A fridge and microwave, crockery and cutlery allow you to dine in privacy if you wish. All our guests have access to a full service kitchen in Microtel’s common area. This kitchen offers full-sized fridge, oven, microwaves, plenty of storage and bench space and adjoin a small dining area. Your private room also features your own TV but should you wish to see a movie on the big screen, visit our lounge area for big screen action. 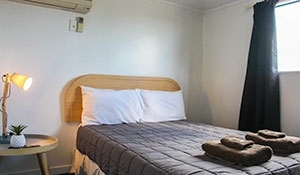 Microtel’s unique accommodation solutions are centrally located in Hamilton City, close to the central business district, Hamilton’s vibrant café and restaurant scene and many local attractions and event centres. Transport options and main routes in and out of town are nearby. 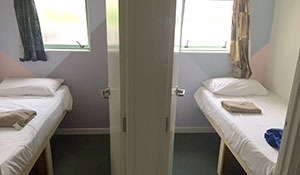 Microtel offers shared rooms. 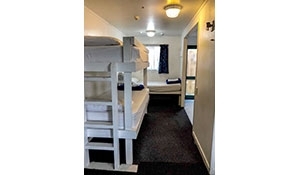 We have a 5 and a 7-bedded dorm rooms. The 5 bedded dorm is female only. Each dorm room has its own bathroom and toilet. Good for groups or budget-minded travellers. Dorm rooms are a key part of Microtel’s room options, meaning they share the room with other people along with shared bathroom facilities. Each unit is lockable. These rooms are popular with free internet for out-of-town students attending Wintec and Uni on block courses. All guests have access to a nearby lounge area with 60" Freeview digital TV, small dining area, a full service kitchen, guest laundry and internet available in room. Microtel offers 2 private, compact double rooms with double beds, each with their own TV. This room contains bathroom facilities. Made up with fresh linen, duvets, clean towels, heating, freeview digital TV, free internet and there are windows that open to let in the fresh air. Accommodates 2 people and the rate is per room. 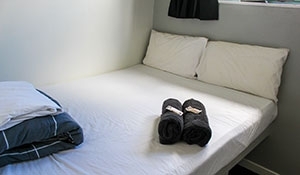 All guests of the double room have access to a nearby lounge area with 60" Freeview digital TV, small dining area, a full service kitchen, guest laundry and internet available in room. Microtel’s double room can be booked for either 1 or 2 people. The price is for the room, not per person.